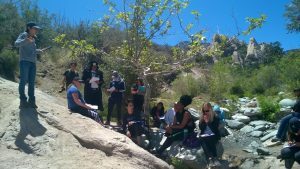 These are just a few of the comments that students expressed on a hybrid Geology/Geography field trip to Devil’s Punchbowl Natural Area led by Geology Professor Christyanne Melendez and Geography Professor Jing Liu. 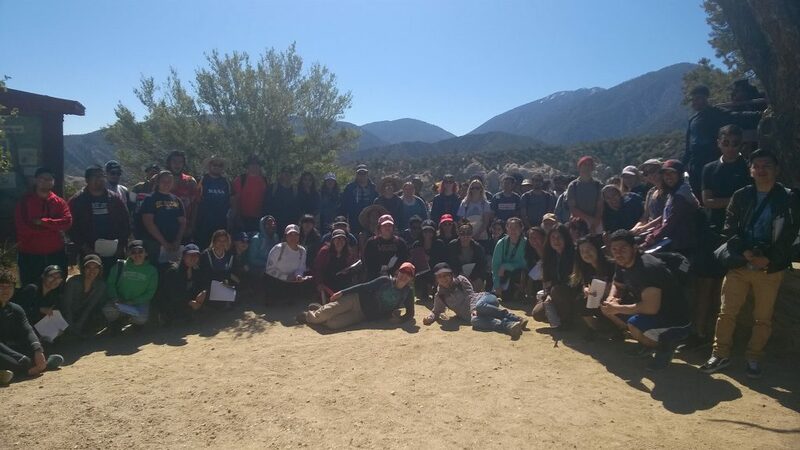 Nearly 80 students attended this field trip to, yes, earn extra credit, but more importantly to explore what is a very unique example of the intimate relationship between geology and geography. Geology asks and answers questions about the Earth and the forces that shape it, while Geography explores the ways in which the Geology of a region influences the climate, the ecosystem, and ultimately, the human experience. Sitting at the foot of the northern slopes of the San Gabriel Mountains, the Devil’s Punchbowl offers a unique window into the complexities of the San Andreas fault system. The deformed sedimentary rocks that outline the Punchbowl tell the story of rising mountains, strike-slip motion, and compression. 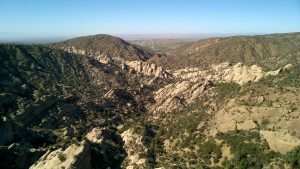 Straddling the mountains and the desert, the Devil’s Punchbowl became the foundation for a unique and variable landscape that evolved to host a number of plant and animals species. At nearly 5,000 feet, the air is dry and thin while the sun is powerful and intense. 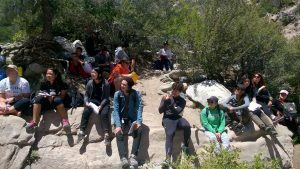 As students traversed through Devil’s Punchbowl they felt the intensity of the sun and the dryness of the air, they saw geologic concepts come to life, they noticed plants and animals adapted to the semiarid climate, and more importantly, they saw themselves as a larger part of the picture. 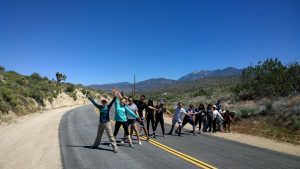 The beauty of a field trip that explores geology and geography is that it allows one to see that every aspect of an environment is rooted in natural processes that shape the landscape, and ultimately, the humans that live there.